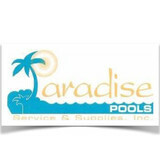 Paradise Pools Service and Supply, Inc. is a family run business that was established in 1998. 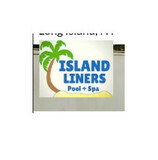 Owner, Kevin T. Maher, has been in the swimming pool industry since 1986. Our goal is to serve our customers with the highest quality products and professional service. With factory trained and certified technicians, we guarantee our customer's satisfaction. We offer our contracts online for your convenience! 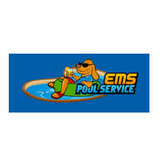 Rely on the professional & experienced team at J and L Pools for all your pool service needs. 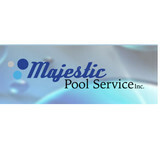 With over 28 years of experience, our team has been providing superior service to residential pool owners. Pool Scouts of Jackson is your go-to source for a perfectly clean pool. Our highly trained pool service experts are dedicated to maintaining crystal clear water and healthy swimming conditions so your pool is a happy place for you and your family to enjoy anytime. Since 1976, Accu-Flo Systems, LLC… …continues to build and service concrete and vinyl liner pools. 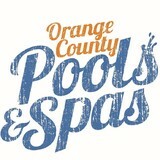 We currently specialize in concrete pool restoration and installation. We also have extended our services to include the installation and automation of pool solar systems, concrete hot tubs, residential and commercial salt systems and sanitation systems, lighting systems, filter systems, heating systems, and pool covers as well as other maintenance services. Accu-Flo Systems, LLC is fully insured, CPO certified, and accredited by the Better Business Bureau (BBB). What should I look for when hiring a pool cleaning service in Kew Gardens, NY? Pools and hot tubs are big investments, so you’ll want to make sure to protect them by hiring an expert who cares about them just as much as you do. Check that the Kew Gardens swimming pool maintenance service you are interested in actually specializes in the type of pool you have — chlorine and salt water pools have very different needs, and in-ground versus above-ground pools will require different upkeep and repair methods. Also, know who will be doing the repair or service; if it’s one of the larger swimming pool services in Kew Gardens, NY, request that you get same person every time, otherwise you could get inconsistency in treatments. Good Kew Gardens pool professionals will keep a consistent schedule and log everything they do so that it can be referenced in the event that you switch companies or something does go wrong. Like any other professional, look for local pool cleaning companies near you with plenty of good reviews and relevant experience. Find a Kew Gardens, NY swimming pool repair and maintenance specialist on Houzz. Narrow your search in the Professionals section of the website to spa and pool maintenance companies in Kew Gardens, NY and read reviews and ratings for pros in your area.